Continued from Part 1... 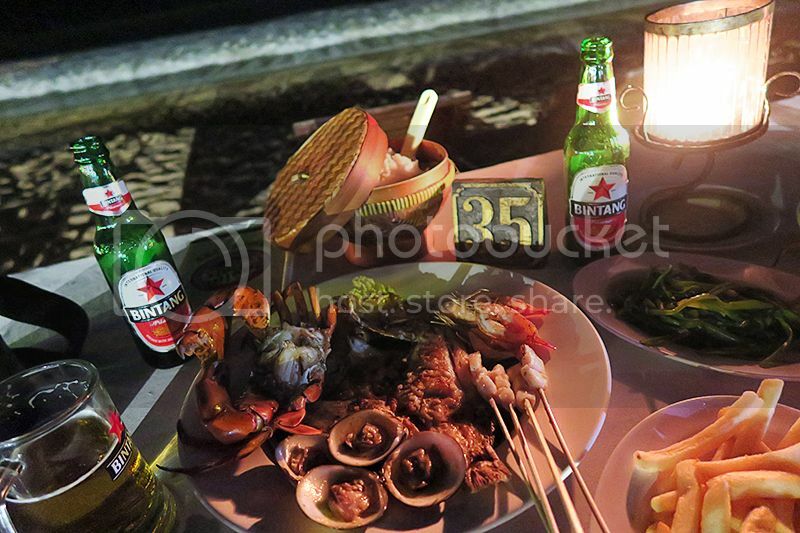 When i told my friends I’m visiting Bali for the first time, they mentioned to me that there are certain food dishes that i must try and i managed to cover most of them in this trip! Did my research online beforehand and also told Agus (my driver) that i would like to go to these places to try their food. He also recommended other places which serves better and authentic version of the dishes we wanted to try! 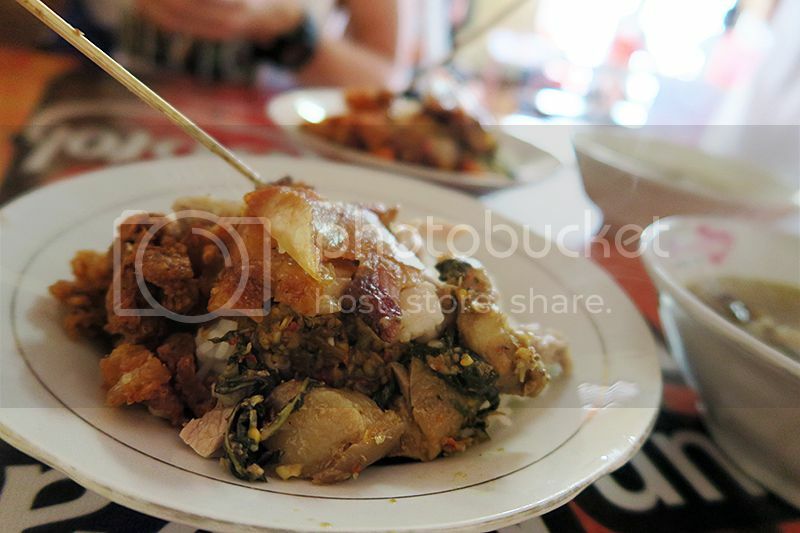 Without further ado, here are 6 food dishes/places to try when you are in Bali! Do note that the addresses that are stated below might not be the actual places that i went, they are the more “famous” ones in Bali which i found online and are highly recommended. This place is not exactly famous and in fact, it's just one of the random place that our driver brought us to have breakfast. I have come to realized that these "random" places are where you can get authentic local meals at cheap prices because your driver, being a local probably knows where are the best places to have good or even better food. My favourite chicken congee or what the local call it - "Bubur Ayam". 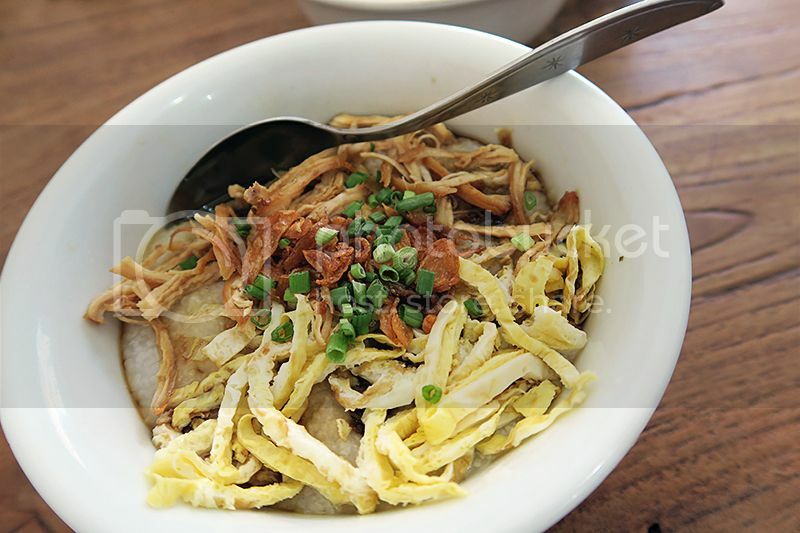 It's basically chicken porridge served with condiments such as shredded chicken, slices of egg omelette, fried onions etc. Even though it seem like a simple dish, it was absolutely delicious! 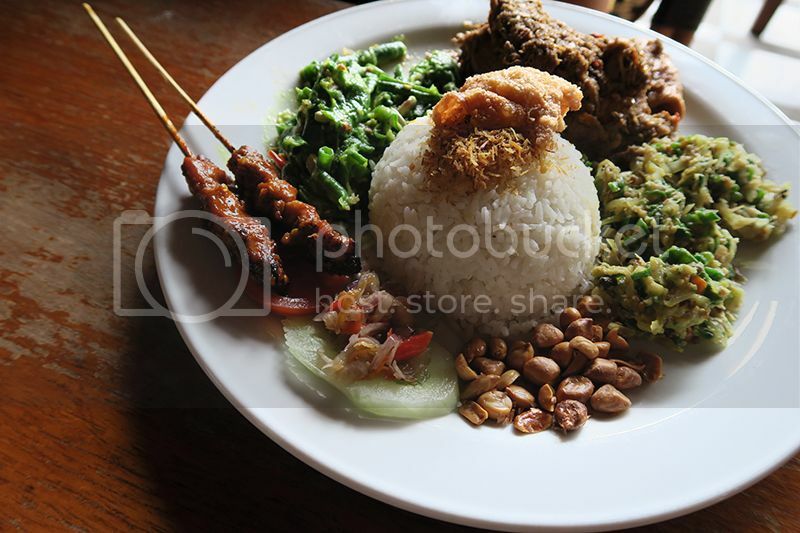 It was so tasty that i called in for a delivery the following day via this Bali food delivery app. 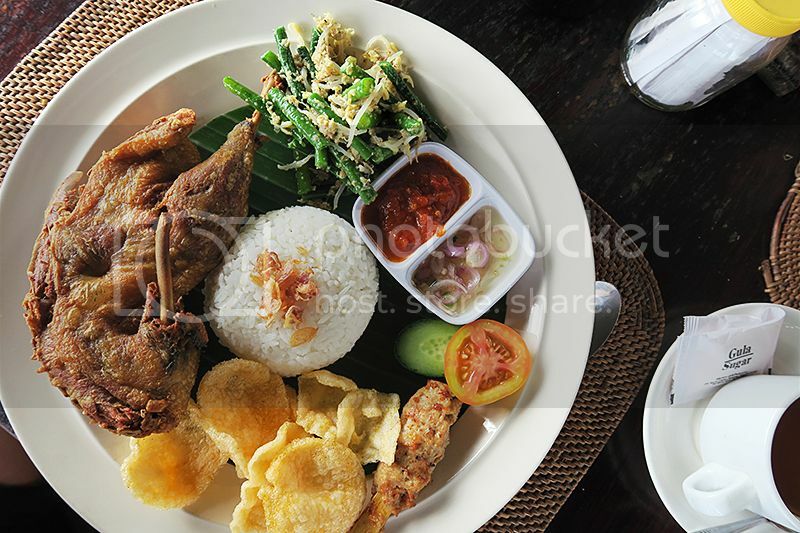 One of the must try dishes in Bali, the "Bebek Bengil", a traditional Balinese deep fried duck, accompanied with sides (Rp 95,000) I initially did my research on where to have this dish but our driver recommended us this restaurant instead and apparently this is one of the more famous place in Ubud to try this dish. I'm personally a fan of duck meat and this duck was so crispy and tender. It went really well with the rice and side dishes, really enjoyed it and worth the $10. 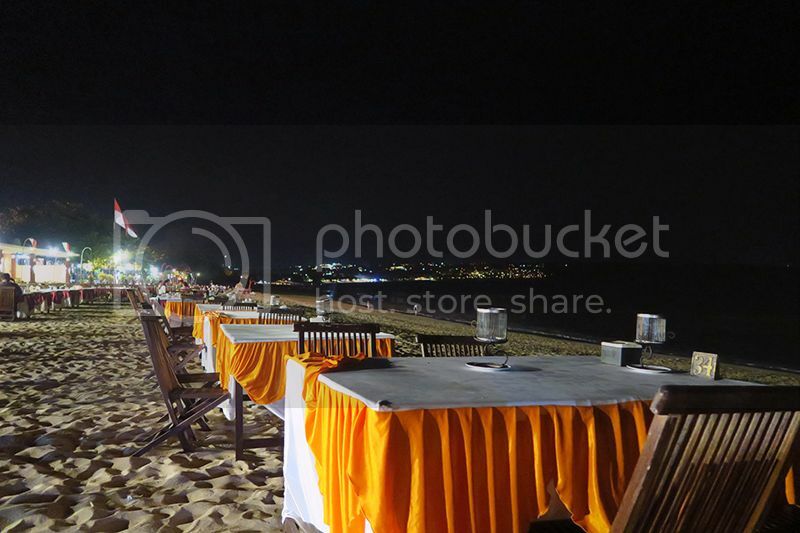 Other than the food, the ambience was also awesome! 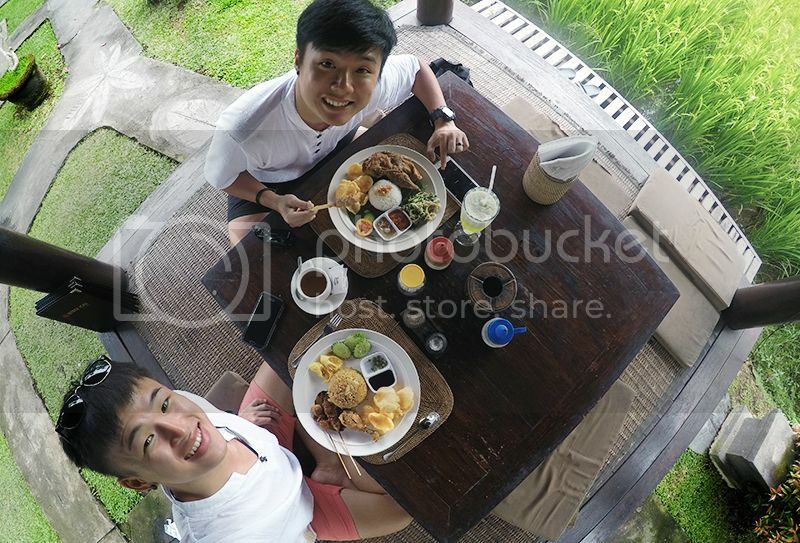 The restaurant offers outdoor dining in their nice and quiet private pavilion surrounded by paddy fields. 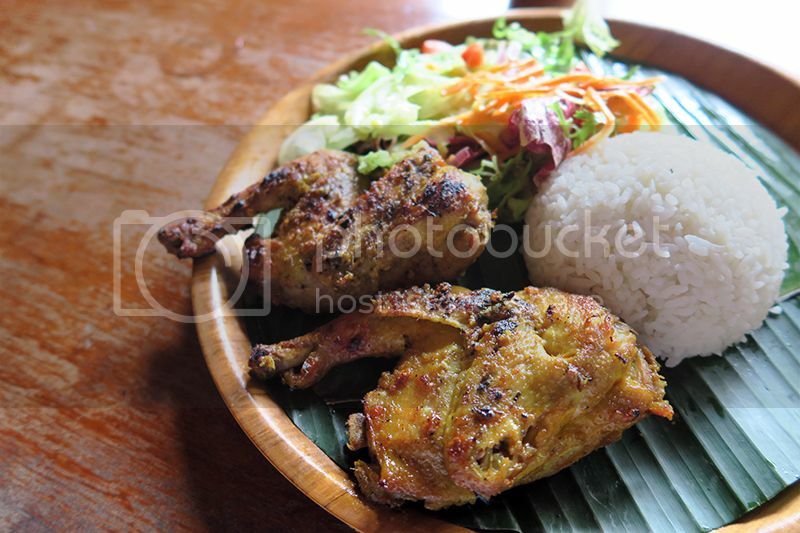 Highly recommended for those intending to try Bali's famous crispy duck! Naughty Nuri's apparently serves the best barbecued pork ribs and some would say that they are the best they have ever eaten anywhere else. Ordered a portion and the rack of ribs came glistering with a slight charred on the surface. The smell is heavenly and you simply can’t wait to dig in when it arrives at your table. 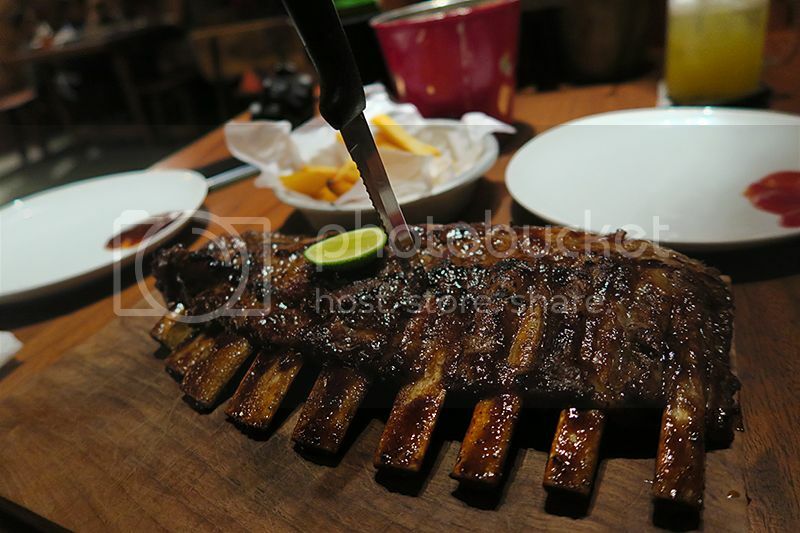 The meat is so tender that it slides off the bone with ease and you get to taste the succulent meat in your mouth. Apparently there is an outlet in Singapore at Capitol Piazza so if you are wondering how good it is, you might want to head down and try it out yourself? 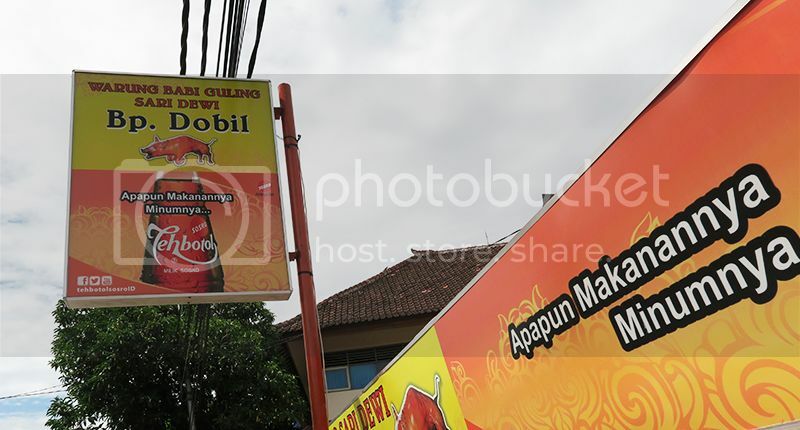 One of the more well known establishments in Bali for Indonesian Food. They serve pretty decent food but can get a little pricey. 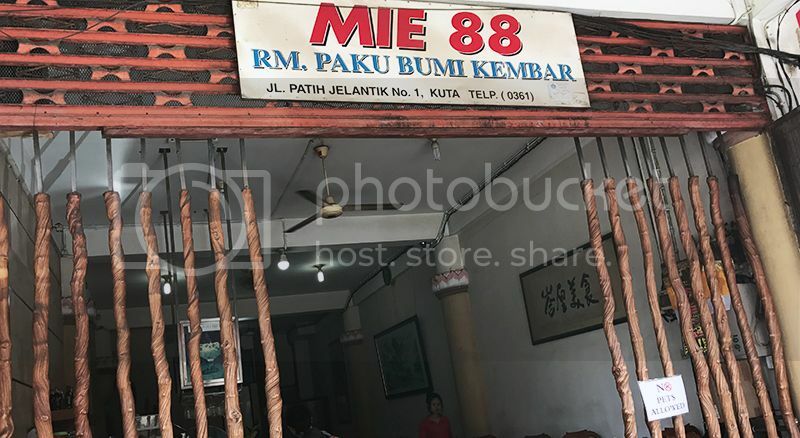 Based on their menu, i would say they cater mostly to tourists with their wide range of food items, from authentic Indonesian/ Balinese food to western food. 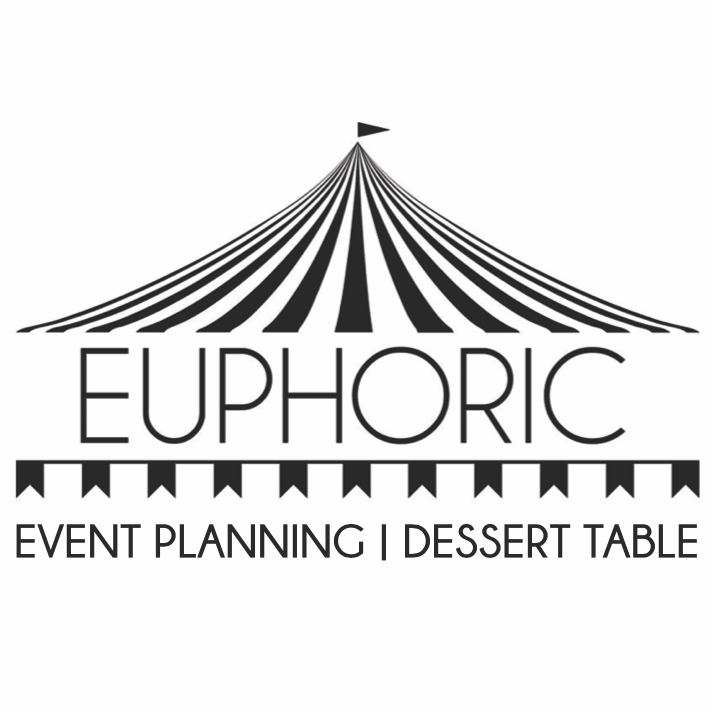 The presentation of the food, the taste and the overall ambience of the restaurant kinda justifies the price though, it's a great place for gatherings and chill over a some chilled drinks. 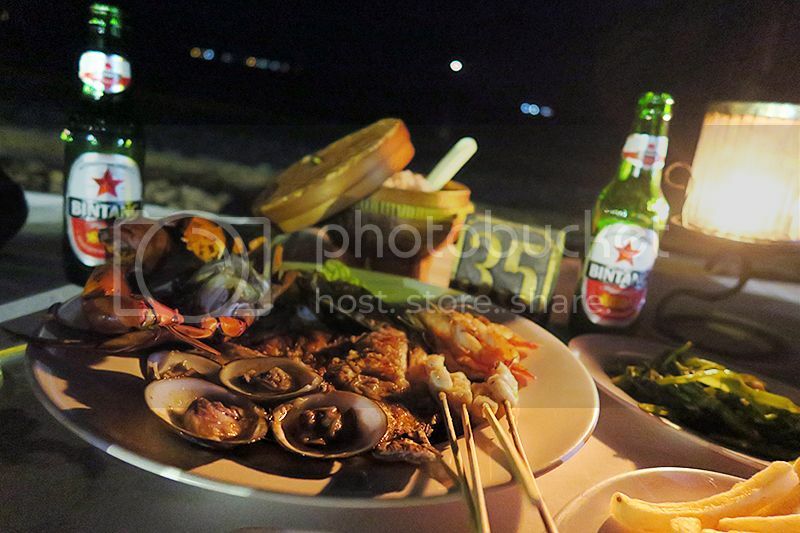 Missed the sunset timing but nevertheless, we decided to have our dinner there and chose one of the seafood set menus which consist of 2 crabs, squids, prawns, mussels, vegetable sides, rice and it also comes with 2 complimentary beers. The cheapest set would set you back at Rp 1,000,000 which is about SGD100? Quite pricey for that meal i would say. What's a trip to Bali without having at massage? There are quite a number of massage parlour in Bali (including those sleazy ones) so you have to keep a look out for those authentic ones or ask around for recommendations. 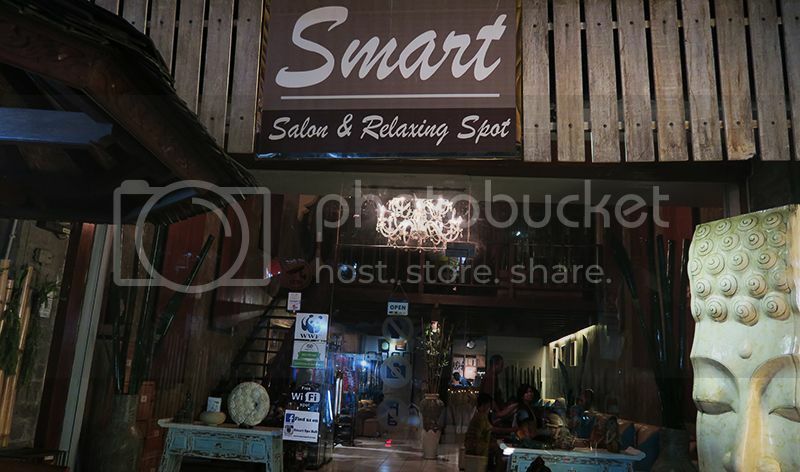 I was introduced to Smart Salon and it was so good that i went back the next day. The masseurs were professional and i enjoyed the ambience of the place. Had the full body massage with oil (Rp 175,000 for 60 mins) and it was so relaxing, especially after a day of outdoor activities under the sun. Not the cheapest massage around, but one of the better ones. 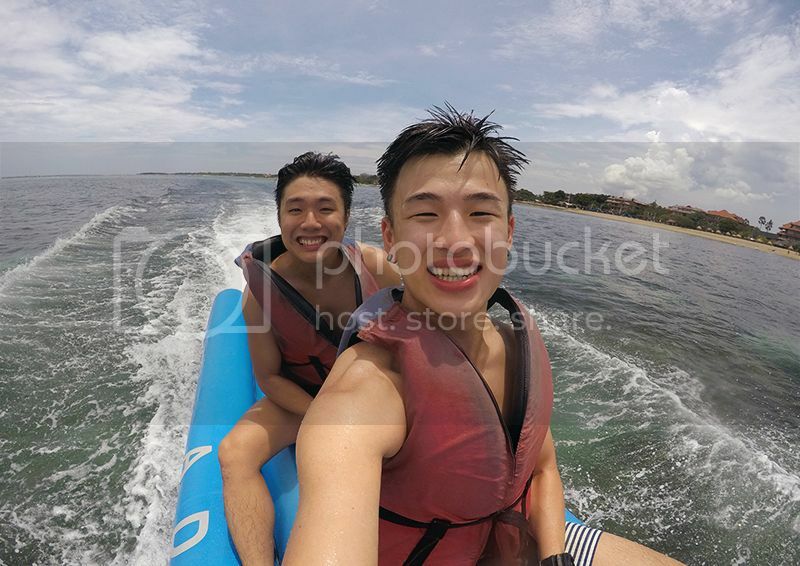 When it comes to going to destinations with nice beaches and clear waters, you probably will think of doing water sports, so prior to this trip, we booked a water activities package from online and we thought it was quite worth it! For about $60 per person (if i remember correctly) we got ourselves a package which consist of a Turtle island tour, Parasailing, Banana boat, Snorkelling for 30 mins and "flying fish". That's quite a lot of activities for just one afternoon! 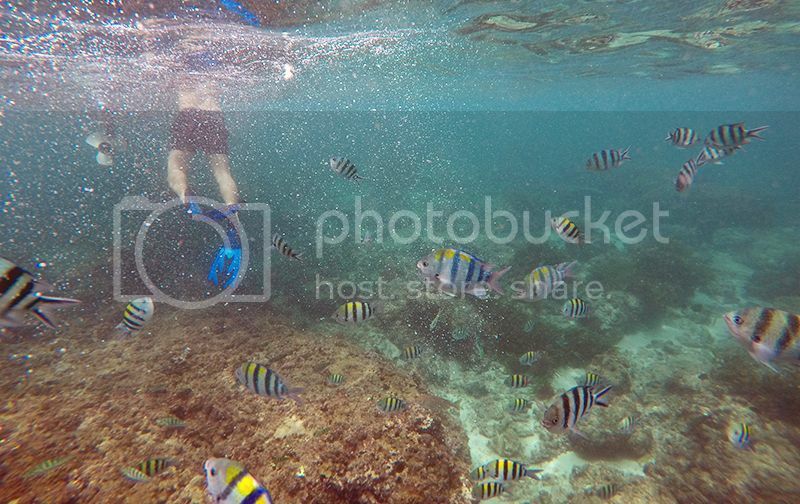 I have always enjoyed snorkelling but this time it was pretty scary because i went into the water without a life vest. So i had to constantly keep myself afloat and it was quite tiring. 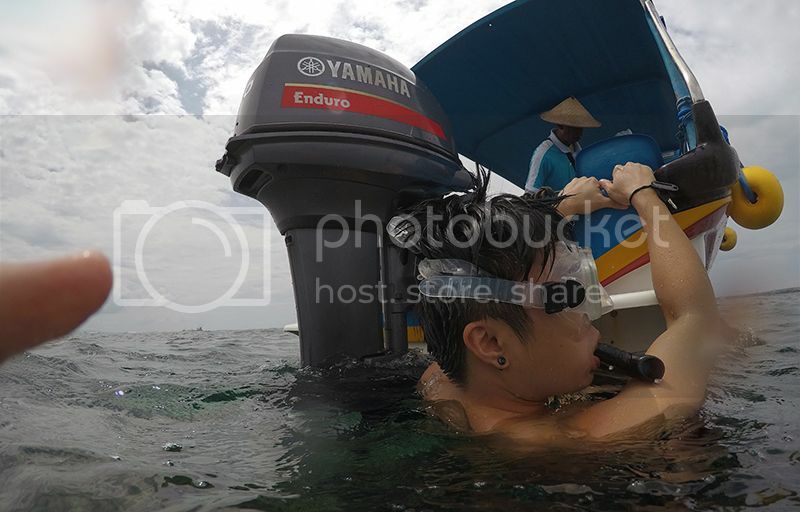 There was some point i was like oh my tians, should i just go back up on to the boat, LOL Last time got life vest, will auto float and can just enjoy the view of the fishes and coral, this time... just lots and lots of bubbles everywhere because of all the struggling, HAHAHA Ok lah, got enjoy a bit lah. Banana boat which at one point they ask us to not hold the handles and they do a steep turn, making us fall into the water. No photos of para-sailing and flying fish because everything happened too fast and we video-ed everything instead. I always enjoyed para-sailing because the view at the top is always awesome, a bit scary at first (for someone with a phobia of heights) but eventually you will get used to it. Just don't take too long to overcome cos the entire experience only last for like about 5 mins? LOL First time trying "Flying fish" and it was so awesome when we lifted up! As the tour title suggest, our package includes a "turtle island" tour which they brought us to this island about 15 mins boat ride away. 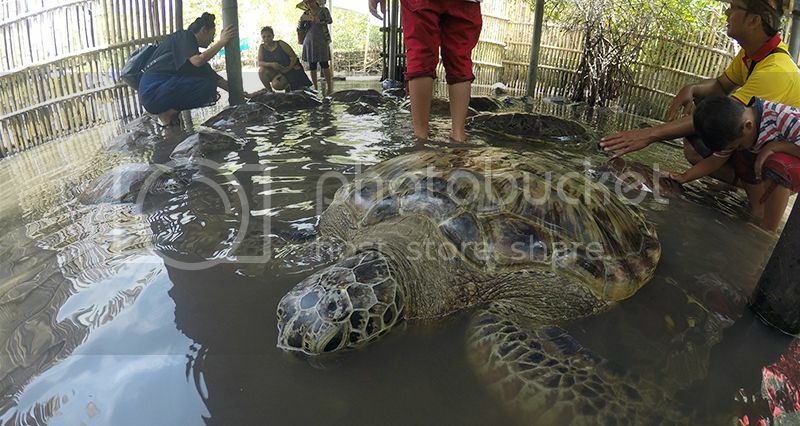 Saw lots and lots of turtles of different sizes, some were really huge. 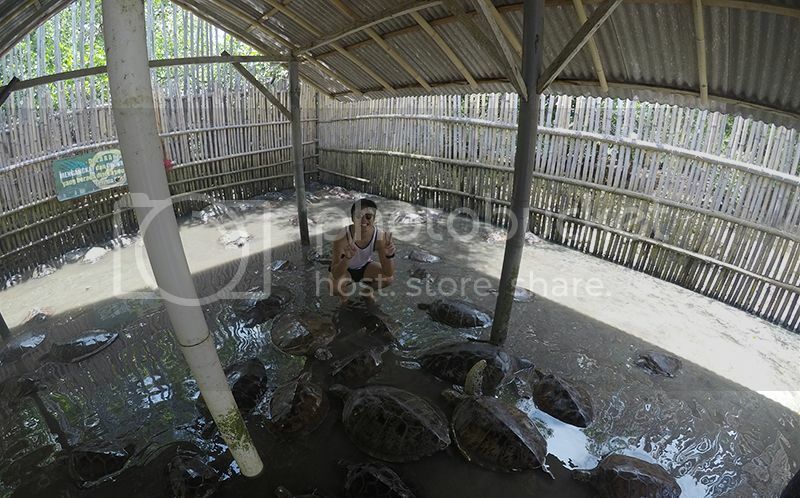 Other than turtles, there were also other animals and reptiles like eagle, snakes etc. It's like a mini zoo in short. Always loved visiting the zoo, lol. 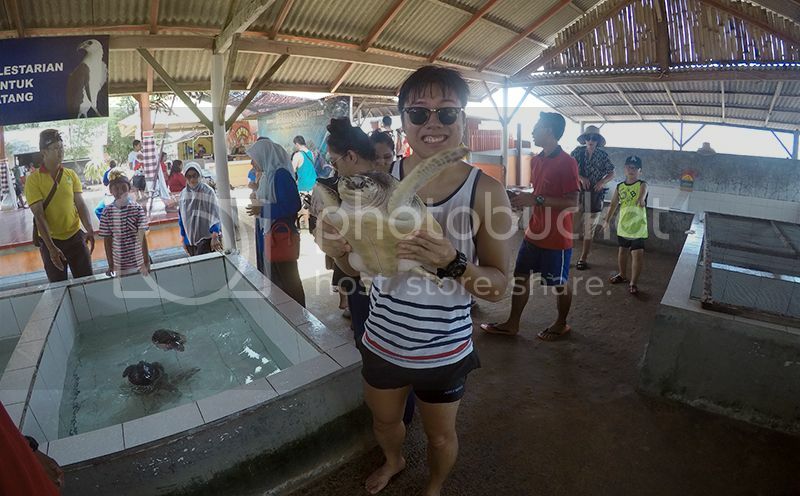 That's all i have for my 2 part Bali travelogue! 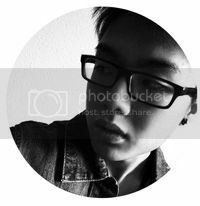 Hopefully it's quite interesting and infomative to you guys and those who stumbled upon my blog which researching for your Bali trip. Guess what's after this travelogue? It would be my Taiwan trip! #amiatravelbloggernow? LOLOLOL I wish. Till the next post.